I have been the guy who has had to read the hundred resumes dropped in my inbox. Most resumes only got a 3 second glance with a few I read and then scheduled for interviews. Were there good candidates in the 40 or so that I just glanced at and moved on, surely. 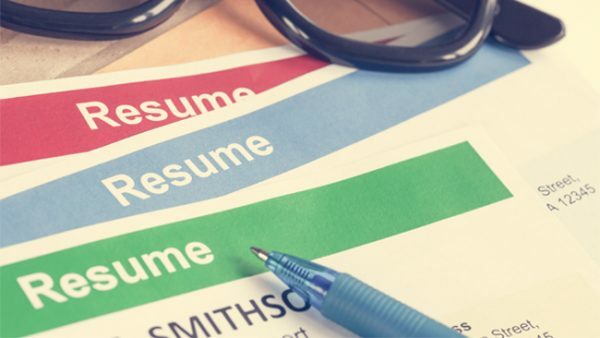 Here are the things you should know when applying for that job and how your first hope is the first impression your resume makes. First you should know that the manager who is hiring is undoubtedly wanting you to be “the one”. He wants a good guy to come in and handle the work he is probably working overtime to handle. He does not want to interview 20 people, he wants to find the one guy quickly and be done with it. So get that interview and don’t mess up and your chances are solid. 1. Don’t write “War and peace”: Nothing could put me off a resume more than a heavily worded, small font resume. In three seconds I will not be able to digest very much and will probably “come back to that later” i.e. never read it again. 2. Skills should jump off the page: When a manager is looking for a position to be filled there will be keywords and phrases he is looking for. I suggest putting a skills section at the top below your name and contact info. This should have easily found terms related to the work you are looking to get. Use a table (make the lines invisible) to get as many in the first glance as possible. 3. Experience should reflect achievements: “Worked in shipping department” does not communicate what you are capable of, should be “Was responsible for all organization, scheduling and administration in shipping area handling over 2000 deliveries per day”. It tells the manager what you did and what you demonstrated what you were capable of without being long winded. 4. Don’t be fancy: Unless you are going for a design/art type position, keep it simple. Use professional, easy to read fonts – the star of this show is the information, not the font choice or the pretty paper. 5. Don’t bother with references: That’s later when you get your interview and you pass the interview, save the space for the good stuff. 6. Include education: People care about it. So, before you send that resume out, check it off against the list above. Read the job description you want to apply for, get an idea of what they would want to see on a resume, open your resume for 3 seconds and determine if you would qualify for reading your resume more fully at that point. If not, edit the text and change the font size where necessary to make that impact.